overgrazing of blanket bog which continues to have a detrimental effect on the national peatland resource. Functional wetlands are among the world’s most productive environments.� They are cradles of biological diversity, providing the water and primary productivity upon which countless species of plants and animals depend for survival.� They support high concentrations and diversity of birds, mammals, reptiles, amphibians, fish and especially invertebrates.� Wetlands are also important storehouses of plant genetic material. 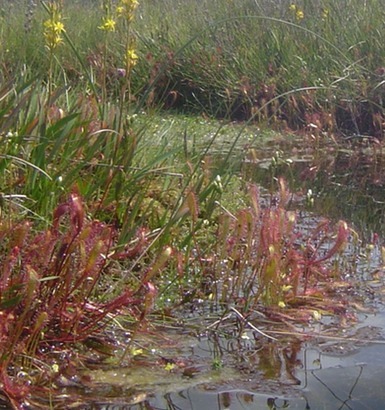 The multiple roles of wetland ecosystems and their value to humanity have been increasingly understood and documented in recent years, as in the Irish Government report on the Economic & Social Aspects of Biodiversity (Anonymous 2008).� Internationally, this has led to large expenditures to restore the lost or degraded hydrological and biological functions of wetlands.� But it is not enough – the race is on to improve practices on a significant global scale as the world’s leaders try to cope with the accelerating water crisis and the effects of climate change.� And this at a time when the world’s population is likely to increase by 70 million every year for the next 20 years (Anonymous 2008d). Global freshwater consumption rose six fold between 1900 and 1995 – more than double the rate of population growth.� One third of the world’s population today lives in countries already experiencing moderate to high water stress.� By 2025, two out of every three people on Earth may well face life in water stressed conditions. The ability of wetlands to adapt to changing conditions, and to accelerating rates of change, will be crucial to human communities and wildlife everywhere as the full impact of climate change on our environment is felt.� Small wonder that there is a worldwide focus on wetlands and their services to us. In addition, wetlands are important, and sometimes essential, for the health, welfare and safety of people who live in or near them.� They are amongst the world’s most productive environments and provide a wide array of benefits (Ramsar website).